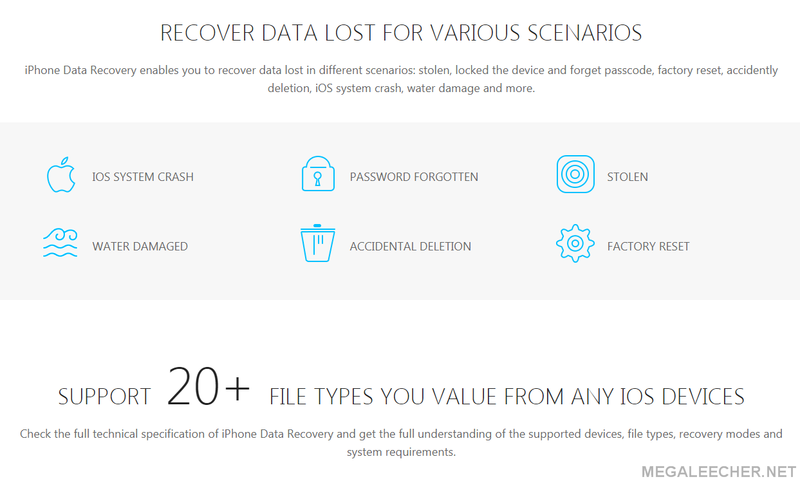 The Apeaksoft iPhone Data Recovery software is available at an amazing price of $47.97 only. Here are some of its wonderful features that you may want to know. It retrieves and exports the deleted or lost data from any iOS devices including iPhone X/8/8 Plus, iPhone 7 Plus/7, iPhone 6s Plus/6s, iPhone 6 Plus/6, iPhone 5/5s/5c, etc. It recovers the deleted or lost files including messages, photos, videos, notes, contacts, call history, calendar, apps, etc. for your devices. It also previews backup files (both existing and deleted files) before restoring and retrieves the lost files to the computer while keeping the current ones intact. 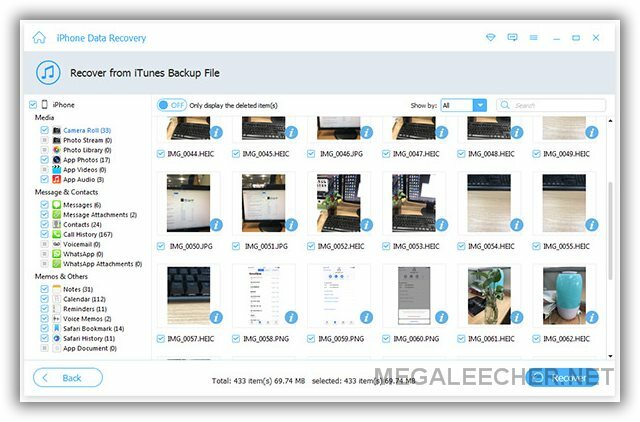 The great iTunes data recovery tool helps you preview, export and restore lost data from iTunes backup to your computer in a snap. It helps in downloading and retrieving photos and other 18 kinds of data from iCloud backup files as iCloud backup data recovery software. This software works on three modes- recover from iOS device, recover from iTunes backup and recover from iCloud backup. The details about the various devices which they support and the type of data they recover are mentioned below. 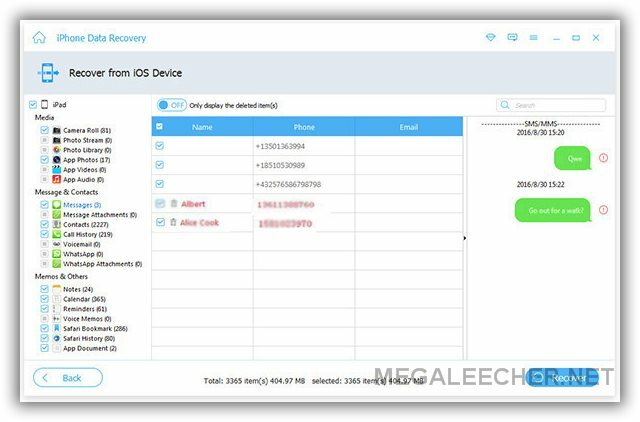 Recover from iOS device: This supports iOS devices like iPhone 4/3GS, iPod touch 4, iPad 1 and recovers contacts, text messages/ iMessages, call history, calendar, notes, reminder, safari bookmark, safari history, WhatsApp, App Document, photos, videos, and audios. 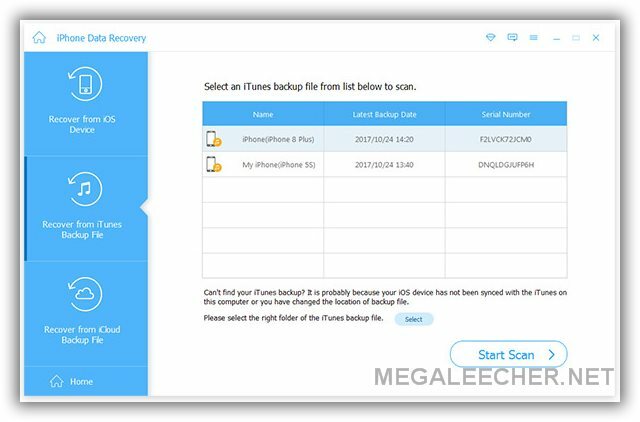 Recover from iTunes backup: This supports iOS devices like iPhone X/8/8 Plus/7/7 Plus/SE/6s/6s Plus/6/6 Plus/ iPhone 5s/ iPhone 5c/ iPhone 5/ iPhone 4S, the new iPad, iPad 2/4, iPod touch 5, iPad Air 1/ 2, iPad with Retina display, iPad mini 1/ 2/ 3/ 4, iPad Pro and recovers contacts, text messages/ iMessages, call history, calendar, notes, reminder, safari bookmark, safari history, WhatsApp, photos, and voice memos. 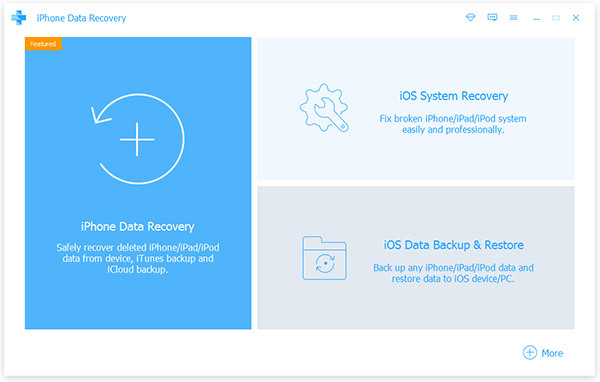 Recover from iCloud backup: This supports all iOS devices like iPhone X/ 8/ 8 Plus/ iPhone 7/ 7 Plus/ SE/ 6s/ 6s Plus/ 6/ 6 Plus/ 5s/ iPhone 5c/ iPhone 5/ iPhone 4S/ iPhone 3GS, iPad and iPod touch 5/4 and recovers text messages/ iMessages, contacts, call history, notes, calendar, reminder, safari bookmark, safari history, WhatsApp, voice memos, photos and videos. All these three modes recover the photos as thumbnails from these devices. Now, that we have an idea about the Apeaksoft iPhone Data Recovery software, let us dive deep into ways to recover iMessages on iPhone. Your iMessages may contain some really important information. The Apeaksoft iPhone Data Recovery software lets you recover deleted iMessages on iPhone with or without backup. There are a number of solutions for recovery. We have discussed some of the solutions below. Apart from your iPhone, if you have activated any other iOS device like iPad or Mac device with the same iCloud account or Apple ID, then you will find your iMessages on each of the devices. The Apeaksoft iPhone Data Recovery software easily retrieves the lost or deleted iMessages from the synchronized devices. If you set up iMessage on your Mac, and use the same iCloud account or Apple ID on your iPhone 6, you can still view the old iMessages on your phone. The solution 1 will be helpful if you are having an iPhone. There may be some cases when your iPhone is misplaced or is damaged due to water or is stolen. With the Apeaksoft iPhone Data Recovery software, it is still possible to retrieve the lost or deleted iMessages, via iTunes. The retrieving may either overwrite the existing data or not, be depending upon whether you have backed up the data or not. If you have backed up the data on your iPhone by connecting it to the computer, then on retrieving, the existing data will be fully replaced by the restored backup. But don’t worry, the Apeaksoft iPhone Data Recovery software allows you to scan the iTunes backup and export the backup including iMessgaes, text messages, photos, contacts, etc. to your computer. Post-scanning, you can select the messages which you want to recover. This will help in avoiding the overwriting of the data. If you have backed up your iPhone to the iCloud, then you can easily retrieve messages from it. This may result in the overwriting and complete replacement of the earlier iCloud backup and the settings of your iPhone. The complete replacement of the data seems a little terrifying. But the Apeaksoft iPhone Data Recovery software allows you to retrieve the lost or deleted iMessages from the iCloud. 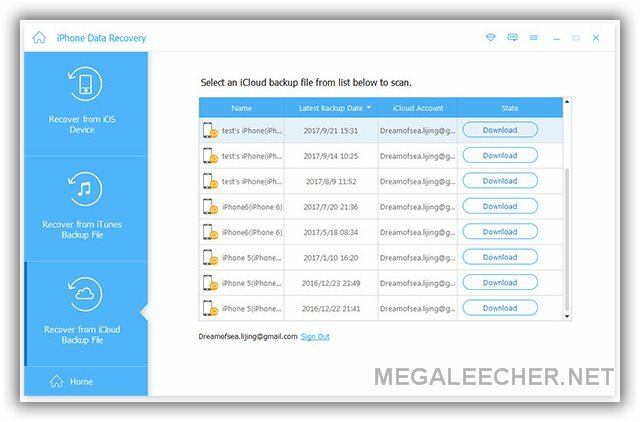 You can select the messages which you want to recover from the iCloud backup files. The Apeaksoft iPhone Data Recovery software helps you in recovering the deleted or lost contacts, text messages, iMessages, photos, videos, notes, call history and many more from either iOS devices like iPhone, iPad, iPod or iTunes or iCloud. The software is compatible with the latest iOS 11 and iPhone 7, iPhone 7 Plus, iPhone 8, iPhone 8 Plus, iPhone X. The software provides really flexible solutions on how to recover deleted messages on iPhone. You don’t have to worry anymore about losing your informative messages. With this amazing software, you can very easily recover deleted text messages, deleted iMessages, etc. in the iPhone. You sharing is cool.And I'd like to recommend a really powerful data recover software.it allows you get back deleted data without backup.What's more, just need several clicks,you can restore all data you want.Efficiently!